Astrology and the human experience are intertwined in a particular and unique way. Astrology is not PREDICTIVE but rather archetipally predictive. A chart will be like a blue-print, an X-ray of your being at birth or at some point in your life. It maps your human experience. Being highly interpretative according to an ancient code that blends metaphysics with metaphors, astrology will never tell exactly when you will get that new job, but will definitely teach you how to navigate skillfully and timely to it. Who are you, really? What is your life's purpose? Where are you coming from or heading towards? ...in life, love, career, relationships. Deep within your full personal astrological chart is the key to unlock your true potential if you just tried and your destiny if you just let or made it manifest. The blueprint of your personality has been “written in the stars” by a benevolent Universe at the moment of your birth. There is a reason why you are here in this very moment and there is star quantum energy with intelligent design to guide you through this maze of immense possibilities called life. Your life. There is much more to a personal horoscope than a Sun sign. Every moment of your life, ten planets are affecting you as they move through your 12 houses of life creating windows of opportunity and good timing for just about anything- getting married, buying a home, changing careers, finding love or a long lost dream. I can help you unlock the answers to your current dilemmas, illuminate your moments of doubt and discouragement and help you advance in the uncharted territories of your own future. The stars will guide you but it is ultimately your own will that will see you through. Personalized CHART Interpretation delivered electronically within 24 hours right in your Inbox! This is NOT a computer generated generalization, but a bona fide personal chart review, created especially for you! Private Consultations with Luna. Book your appointment here. Break free of what limits your perception and advancement, take charge of your inner and outer world now. Offered to both new and returning clients at 50% off the regular price. Interested in setting up a new course? Nothing more timely than having your consultation now, to break free from the shackles of the past, create and embrace a future full of possibilities. No credit card or advance payment required. Read my recent and archived articles on the current and past major transits and astrological events. For over 30 years, Luna has studied the astronomical, spiritual, mystical and metaphysical aspects of Astrology as a means of finding answers to our existential questions and to better understand the cycles of life and death, the nature of reality and our place in the Universe as we know it. Luna has developed her own unique and complex way to interpret astrological data by relating it to Numerology, Sabian symbols, Tarot symbology and other divination methods, in an attempt to illuminate the lesser known aspects of our lives and psyche. As we walk through life, the people we encounter appear so different from one another and from us creating an enhanced sense of individuality of "being different" but also of separatedness, of being somewhat removed from the global human experience. As different as each person seems, they are, we all are, living the human experience. The only true difference is that we find ourselves at different places in the life cycle, learning lessons in life and evolution as we live each stage fully. Every phase of the cycle of life has its gifts and its inevitable challenges. Each stage is temporary and ultimately gives way to a new phase. This ephemeral quality makes each phase precious, because one thing is sure: it will never last. That should bring new awareness (some call it wisdom), the awareness that we are all interconnected through the human experience, that we should acknowledge and embrace each experience (however hard to swallow at the time) and know there is light at the end of the darker side of life. Always. There is much more to a personal horoscope than a Sun sign. Every moment of your life, ten planets are affecting you as they move through your 12 houses of life. And, as The Buddha said “ for every moment of your life, there is an infinity of choices”. There is also a good timing for just about anything- getting married, buying a home, changing careers, finding love or a long lost dream. Let me help you unlock the answers to your current dilemmas, illuminate your moments of doubt and discouragement and help you advance in the unchartered territories of your own future. The stars will guide you but it is ultimately your own will that will see you through. Join me and other Feng Shui enthusiasts every Sunday morning in November for an informative, fun, interactive FENG SHUI 5 weeks course, packed with information, handouts, slideshows, etc. 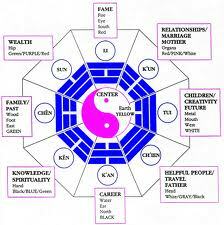 "Astrology - The Human Experience"
"Feng Shui - The Art of Living"